To sharpen an old increment borer, use this special sharpening kit. 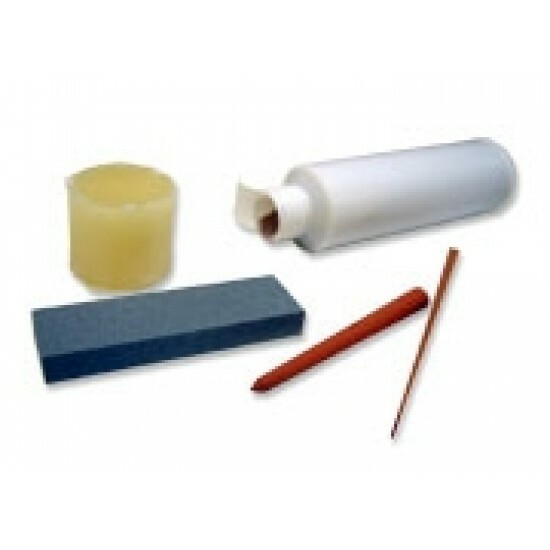 oil, sand, sharpening stones where one is conical for inside sharpening beeswax. The wax is used to protect the tip and provide a better glide. The kits are equipped with instructions on how to sharpen the borer.